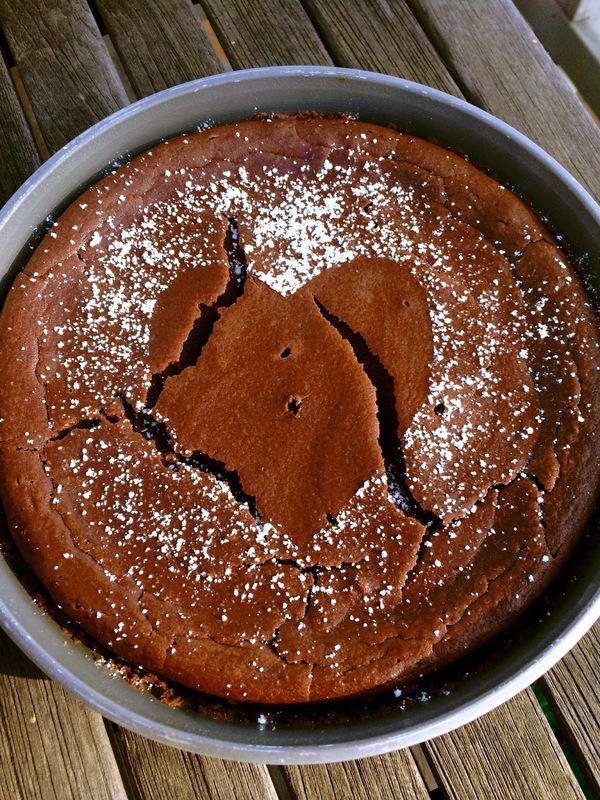 Today I present... a Flourless Chocolate Torte. You know I'm a fan of easy too. Once again, you need only to blend everything in a food processor or high powered blender (Like a Vitamix. My shoddy Oster brand did not do the trick.). 1. Preheat oven to 350F. Spray a 9" round cake pan with cooking spray. Drain and rinse garbanzo beans. Blend in food processor until very fine. 2. Melt chocolate chips in a double boiler until smooth. 3. Add melted chocolate into food processor and blend until evenly mixed. You may need to scrape down the sides a few times. 4. Add in the rest of the ingredients and blend until smooth, scraping down sides if necessary. 5. Pour batter into prepared pan. Tap pan on counter a few times to let bubbles escape. 7. Let cool completely before slicing. Store in fridge and serve cold.